See 'Lee-Enfield' [2007 ed.] pp 271-273, 478. 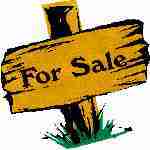 Two available, new: $150.00. Body assembly trigger sear. SAIS #1, p.28-29, part no.38 ... $10 ea. Body assembly magazine catch. SAIS #1, p.28-29, part no.27 $15 ea. Sear spring. SAIS #1, p.28-29, part no.40 ... ... ... ... ... $5 ea. Bolthead retaining spring. SAIS #1, p.28-29, part no.40 ... ... $2 ea. Front trigger-guard screw. SAIS #1, p.32-33, part no.28 ... ... $2 ea. Back trigger-guard screw. SAIS #1, p.32-33, part no.27 ... ... $5 ea. Nosecap back screw. SAIS #1, p.32-33, part no.14 ... ... ... $3 ea. Nosecap nut. SAIS #1, p.32-33, part no.14 ... ... ... ... ... $5 ea. Nosecap back screw. SAIS #1, p.32-33, part no.17 ... ... ... $5 ea. Buttplate screw. SAIS #1, p.34-35, part no.45 ... ... ... ... ... $2 ea. Inner barrel band screw. SAIS #1, p.26-27, part no.3 ... ... $2 ea. To inquire or purchase the following copies or plans, please e-mail idskennerton@hotmail.com ... Items ex-Australia. Full set of 20 on acid free paper, better than originals as these are rolled rather than folded, old fold marks retouched. $105.00 plus post in long mailing tube. Short set of 13 which has essential models, $65.00 plus post in mailing tube. 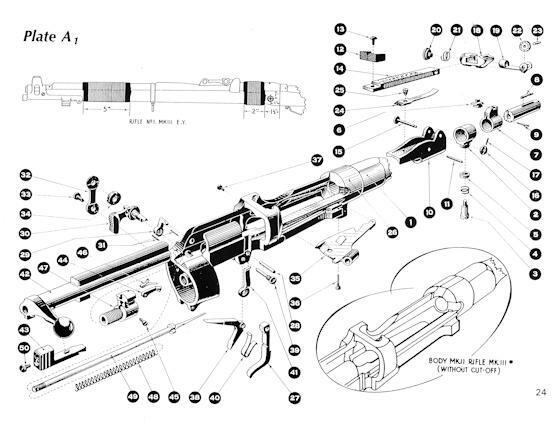 Armourer's Drawings, fold out work charts for .303 Short Magazine Lee- Enfield, Marks I, I*, I***, II Cd., III, IV Cd., & III*, .22 No.2, No.3, 1905-1945. Set of 10 on acid free paper, better than originals as these are rolled rather than folded, any old fold marks retouched. $60.00 plus postage in mailing tube. Set of 6 on acid free paper, better than originals as these are rolled rather than folded, old fold marks retouched. $35.00 plus post in mailing tube. Set of 10 on acid free paper, better than originals as these are rolled rather than folded, old fold marks retouched. $60.00 plus post in mailing tube. Set of 10 on acid free paper, plus 4 Australian WW2 VDC instructional wall charts. Total 14 sheets, $80.00 plus post in mailing tube. Set of 8 on acid free paper, better than the originals as blueprints have been reversed and old folds retouched. $45.00 plus post in mailing tube. Set of 5 sheets enlarged from A3+. Newly printed on acid free paper, any old fold marks retouched. $50.00 plus post in mailing tube. About 20 full-size and reduced drawings on acid free paper. Some annotated with amendments by inventor. This group includes 'Collector' magazine issue No.1 which features an article on the conversions and photos of the model now in the Lithgow S.A.F. Museum collection. $80.00 plus post in mailing tube. Set of 3 large (full size 1:1 scale) sheets, newly printed on acid free paper plus 2x A4-size manufacturing drawings of the .45 bolthead modification and required shortened .303 striker components. $36.00 plus post in mailing tube. Set of 2 large (full size 1:1 scale) sheets, newly printed on acid free paper plus These are Lithgow SAF drawings post-war with the bayonet lug addition per their FTR program on the OMC before Korea. $20.00 plus post in mailing tube. Out-of-print books at a fraction of the price resellers ask now! 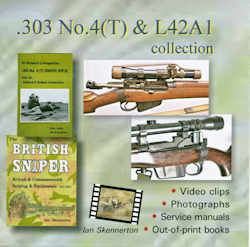 Laidler & Skennerton - '.303 No.4(T) - An Armourers Perspective'. Faris catalogue excerpts with folders of photos and video clips. Books as pdf files, images as .jpg, video as MP4. $25 plus pack & post. Over 100 photos & pdf files of W.G. 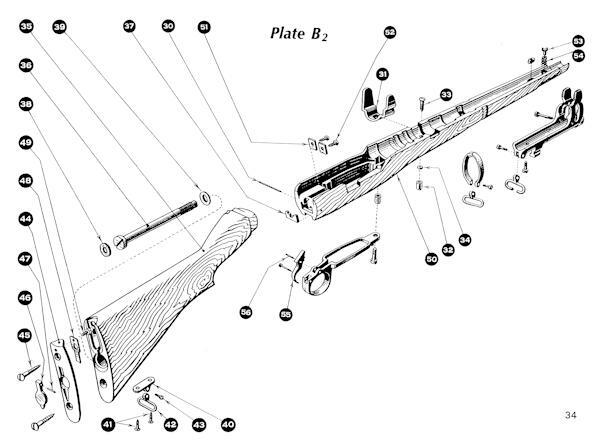 De Lisle with .22 prototype, early test models, Enfield RSAF & MOD Pattern Room samples including specimen stripped and disassembled at Nottingham, Warminster Museum examples include folding stock paratroop model, Sten Mk V & Mk VI for comparison. $25 plus pack & post. Conditions are per NRA standard. Fine or Mint: Shining new, like just out of the wrapper or box. VG : Some original finish, little wear. Good: Little original finish, showing wear. Poor: No original finish, well worn.